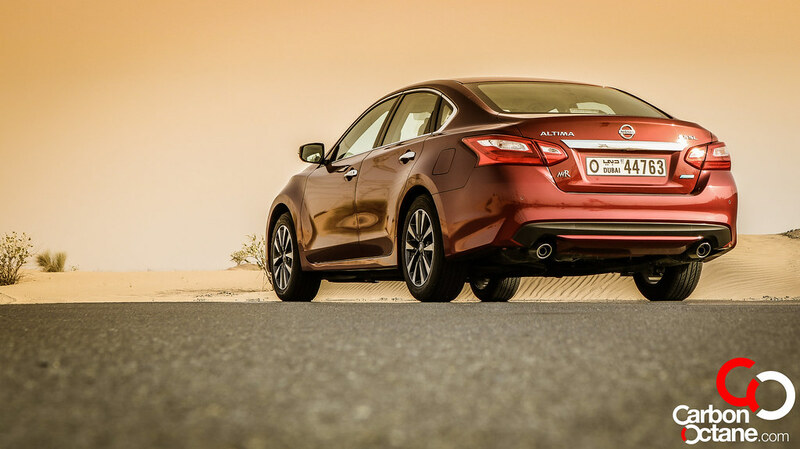 Refreshed in 2016, the Nissan Altima is the feistier of the staple trio in the UAE, the others being the Toyota Camry and the Honda Accord. There is strong competition from the Koreans and also the Americans these days. 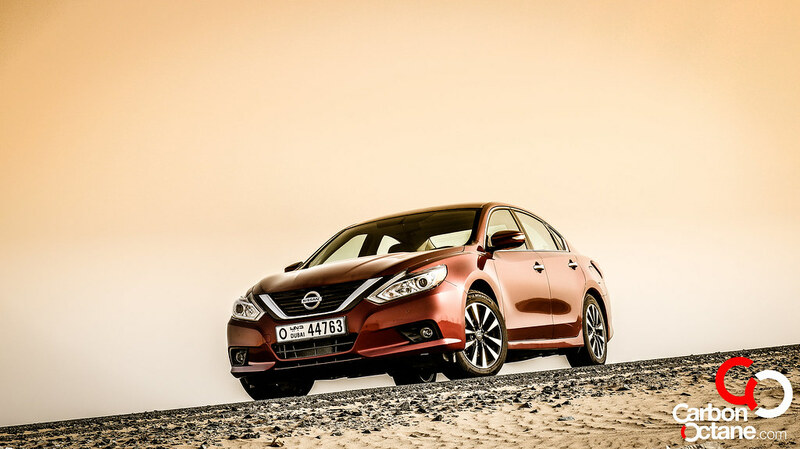 So why would you want to go for the Altima? 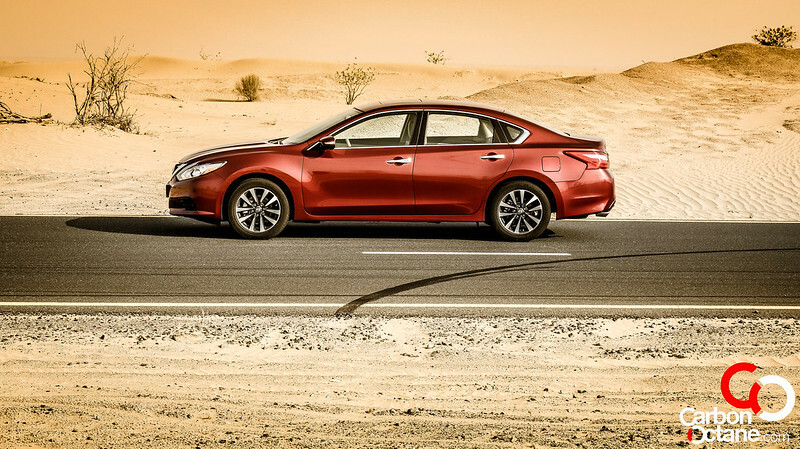 There are many things that can contribute to the decision in buying the Altima over the others. 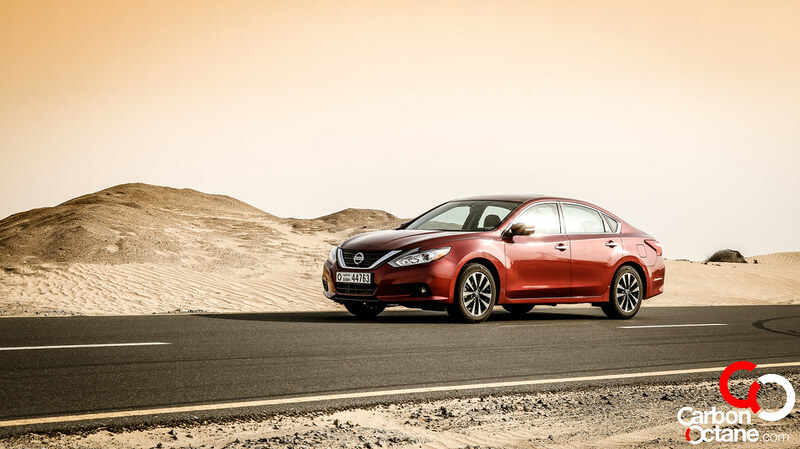 First of all you have excellent dealer network and support from Arabian Automobiles in Dubai and the Northern Emirates. 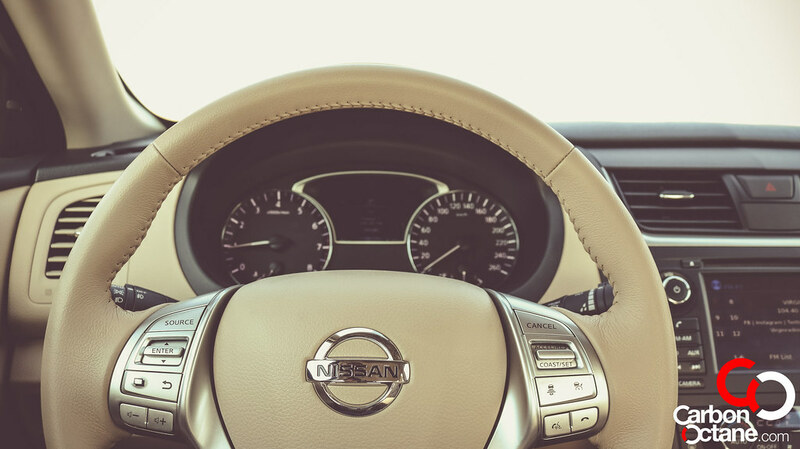 Then you have positive market sentiment where when the time comes you have a faster chance of being able to sell the Altima off and without losing much in depreciation. 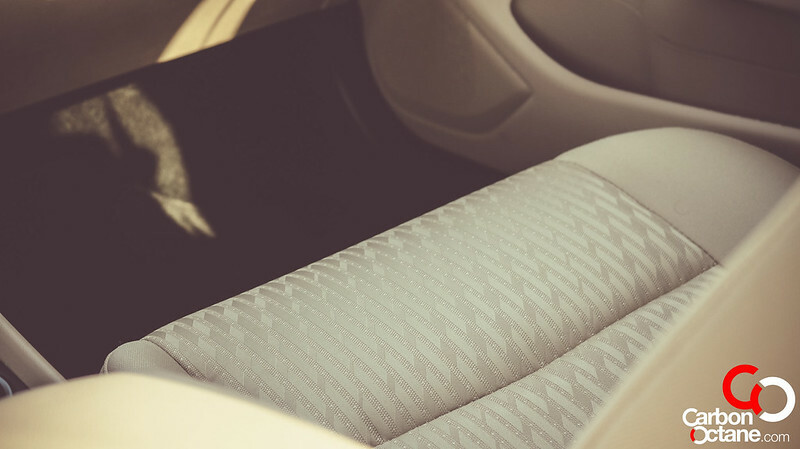 It’s comfortable, fool proof and reliably can take you from A to B. It has Bluetooth and USB outlets, what more would you want from your daily beater. 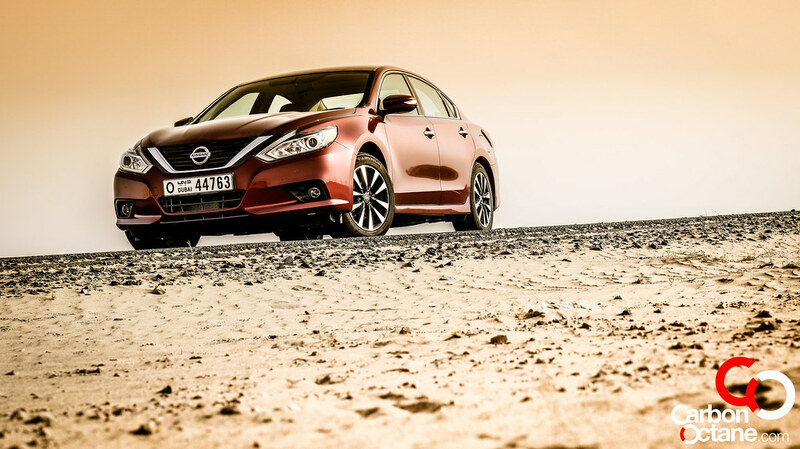 Well, there are a few things when it comes to the Altima. 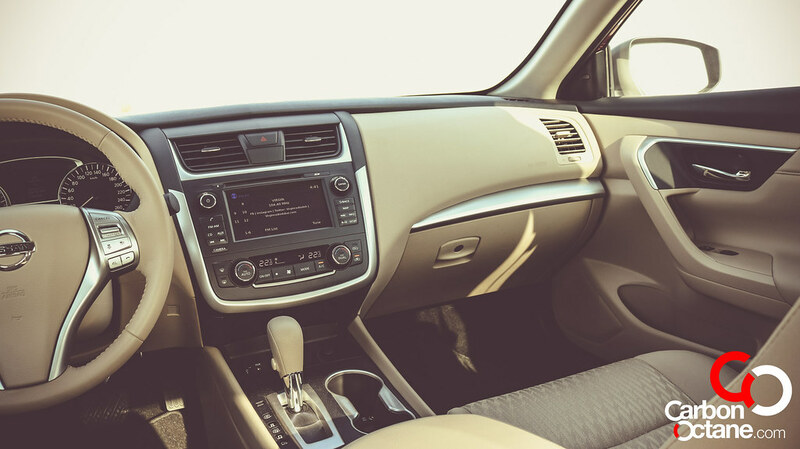 Along with the Honda Accord and Chevrolet Malibu, the Altima also offers remote start. This is a must to have in our opinion, at least in the UAE. 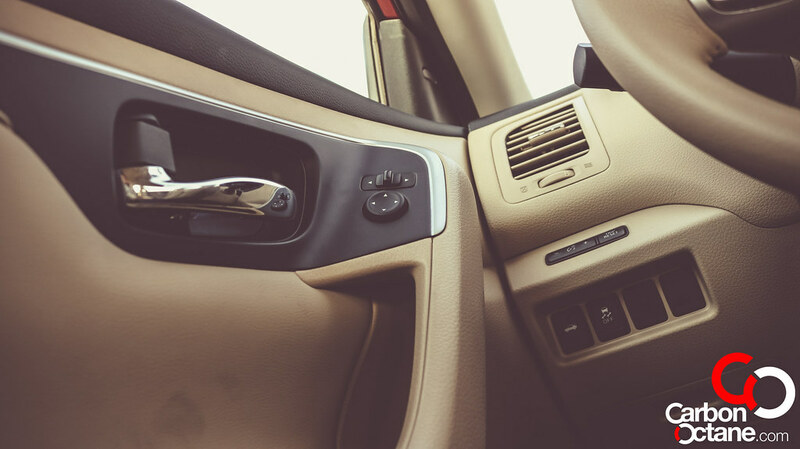 Imagine the interior heating up in the summer and we have all felt the scorching interior and the steering wheel which we just cannot touch, when the car is left under the sun for hours. 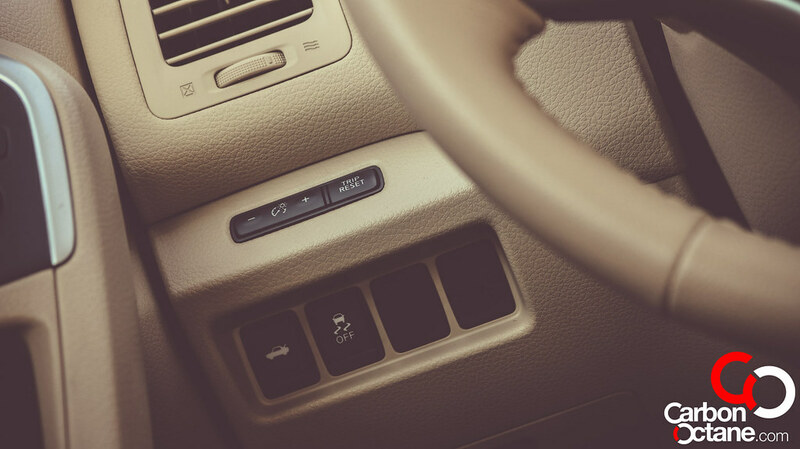 With the press of a button, what remote start does is vent out the hot unhealthy air out. Give it 5 minutes and the interior would be cool and comfortable. 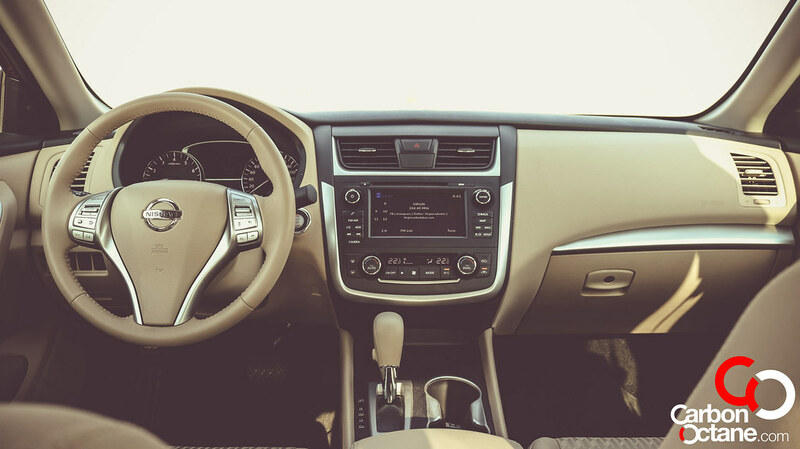 Our tester is the Altima 2.5 SL, and comes with basically everything except leather upholstery. 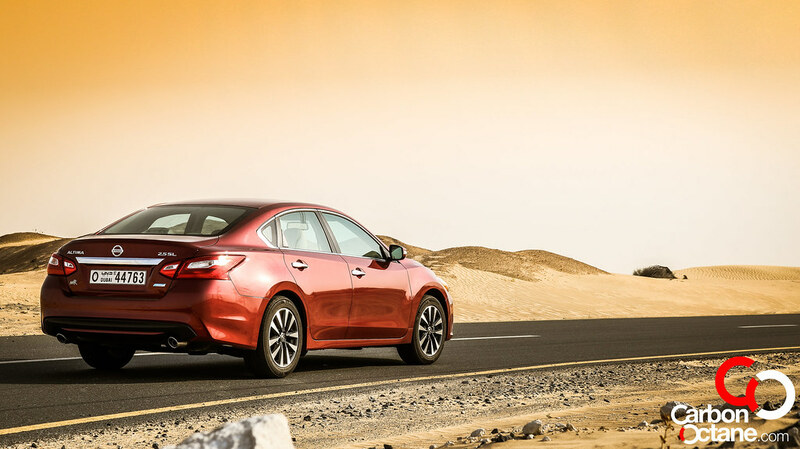 You get navigation, adaptive cruise control, rear view camera, sun roof and blind spot monitors. So far it looks good in terms of specs and options. Well here comes the good stuff. 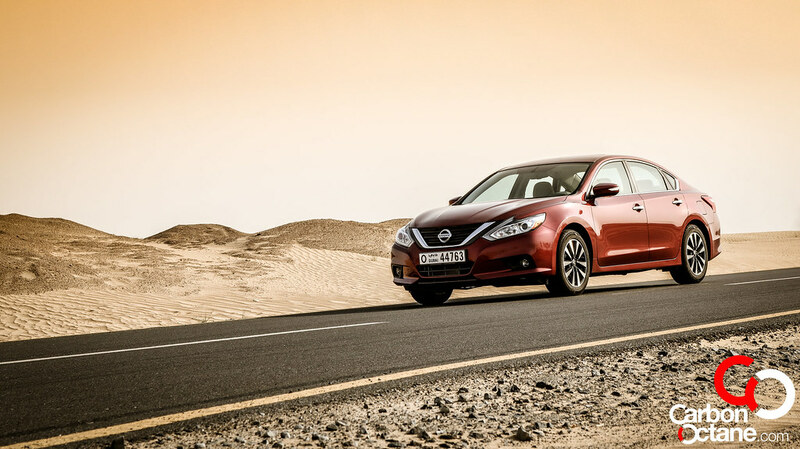 When Nissan introduced CVT for Altima, we lost the driving fun of a great car. 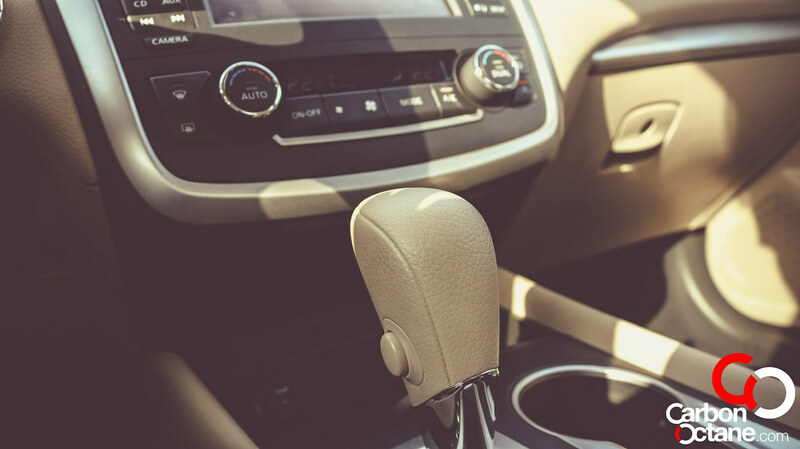 The first generation CVT’s were whiny and though it provided for instantaneous torque and excellent fuel economy the fun factor was lost from its drive. 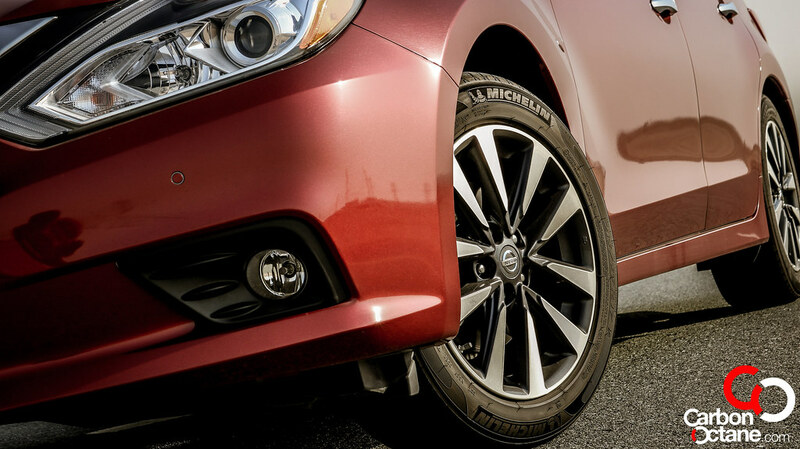 For 2016, Nissan as updated their CVT to mimic what we missed, and it’s called shift shocks. 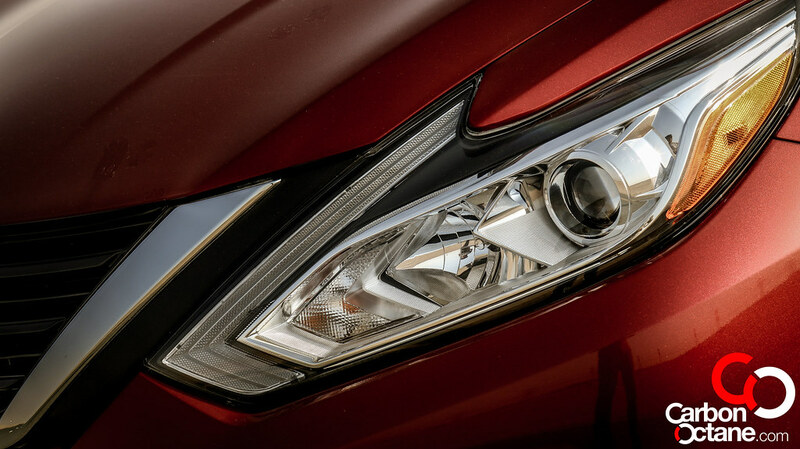 Yes, though it comes on higher rpm, specifically after 4000rpm, the CVT V2.0, mimics regular automatic shifts. Brilliant, maybe not so much but let me tell you it’s not bad either. 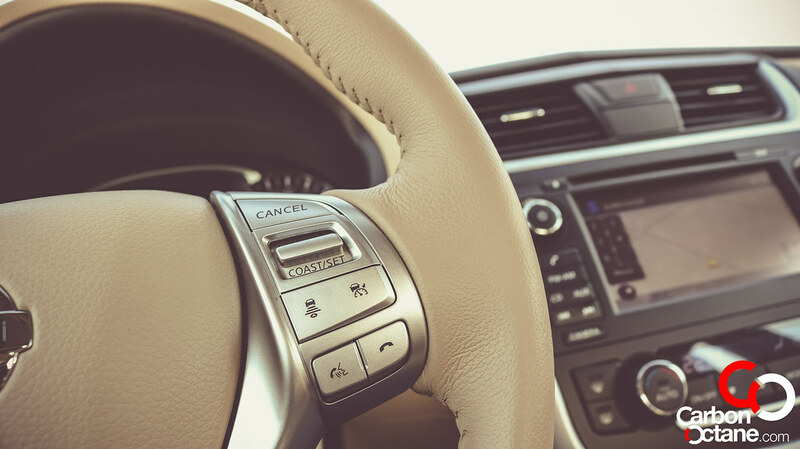 A regular full tank which costs around AED 105 will give you over 700kms city driving, the range would increase to almost 800 kms if you are using the highways more often. 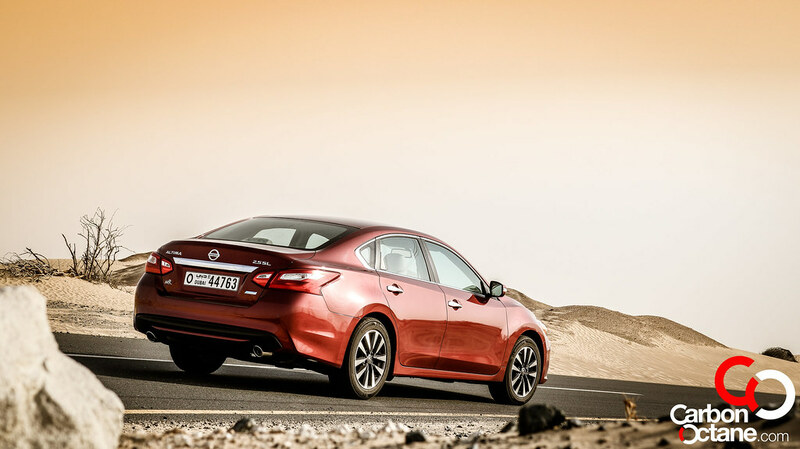 This is more than some of its competitors, well I would say that the only car that match the fuel economy of the Altima in its category would be the Honda Accord. And this makes it a great every day beater. 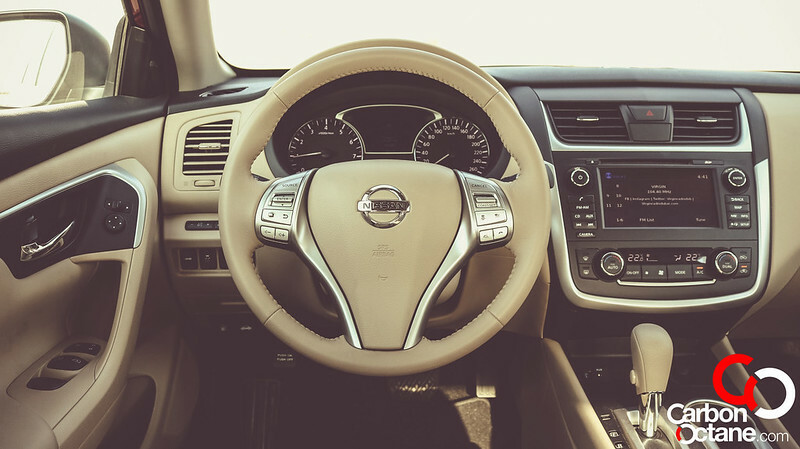 The Altima’s 182Hp is the same as its competition but because of its engine mated to the CVT, the effect of power delivery is more immediate. 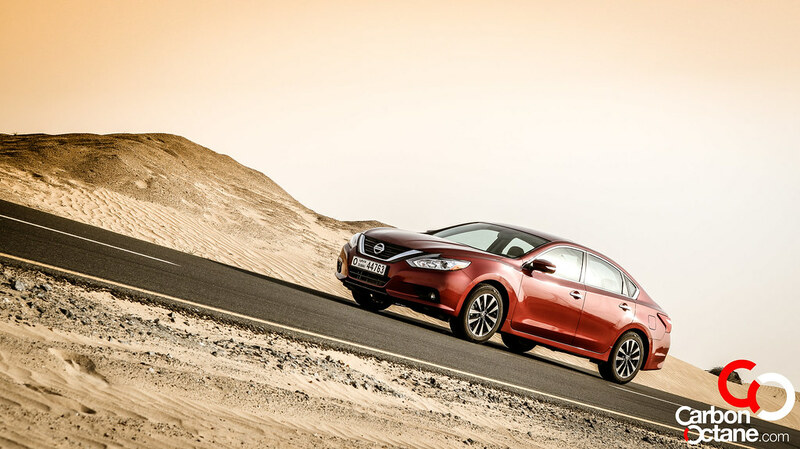 You feel that you are driving a much more power engine. 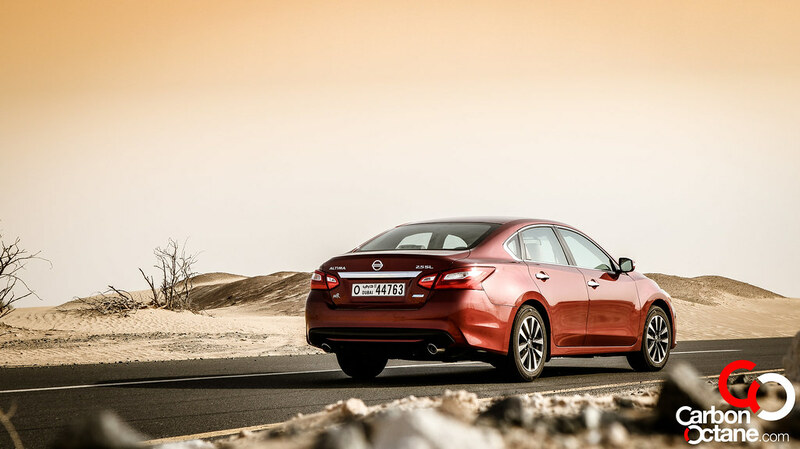 And now with shift shocks, yes you can enjoy the driving sensation of the previous generation Altima. 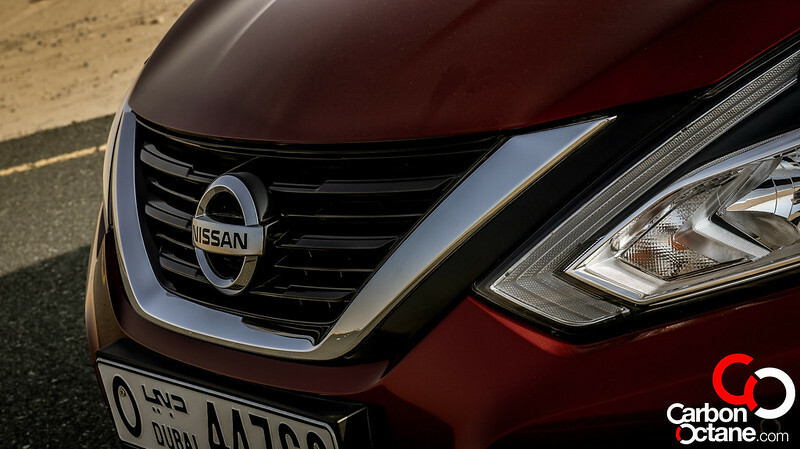 The starting price is AED 78,000 and is very lucrative for the entry level model, our tester which came with everything came to a very respectable AED 92,000. 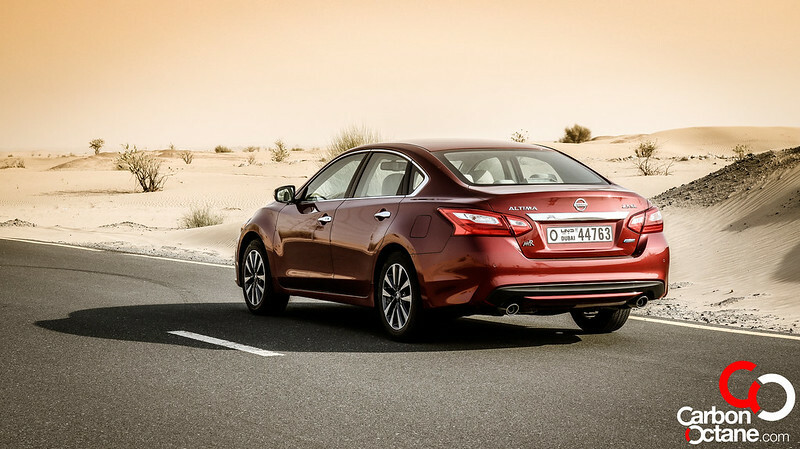 The Nissan Altima provides a substantial value for money along with excellent after sales support. What more can you ask from your daily mode of transport?